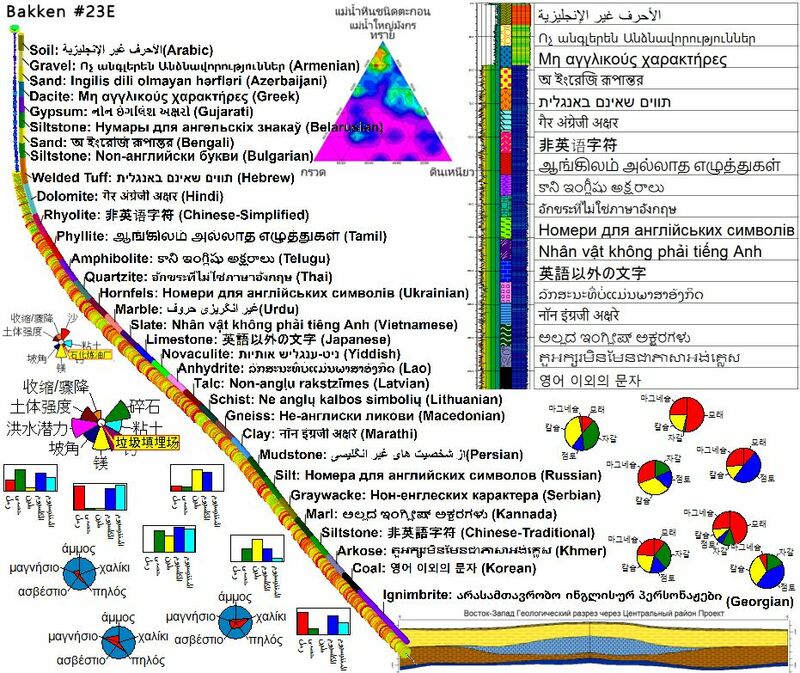 As RockWorks view the world, lithology materials are not necessarily layered – they can repeat within a single borehole and may be inconsistent in sequence across the project area. 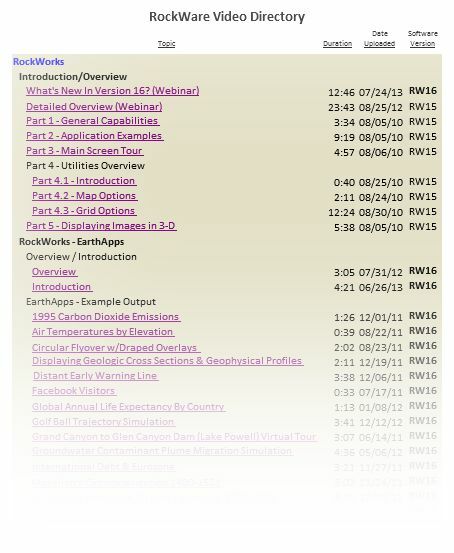 As such, RockWorks uses a solid modeling process, rather than surface-modeling, to create lithology models, with the 3D nodes or voxels assigned a material type and represented in the 3D viewer as color-coded blocks. This presents a challenge, then, for users who wish to view lithologic SURFACES as plan-view contour maps, or in 3D, or exported to CAD. In RockPlot3D you can access the lithology model’s Options window and filter the display for the desired material type, or range of types. Here is the above model filtered to display the Soil voxels only. 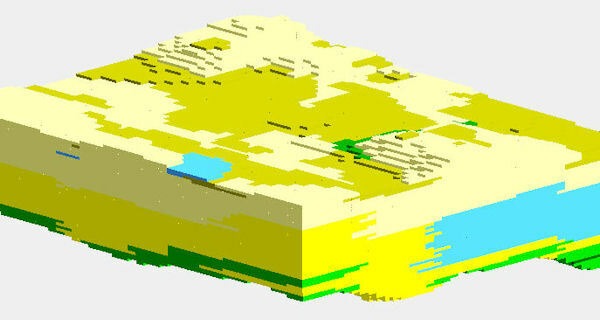 If you need a surface rather than blocks, RockWorks also has tools which will fit a surface to the uppermost elevations or the lowermost elevations of a rock type in a lithology model. These are in the Lithology | Superface (Top) and Subface (Base) menus. Here is an example of the same soil lithotype extracted as a surface (upper elevations), and displayed in RockPlot3D and then exported to DXF. 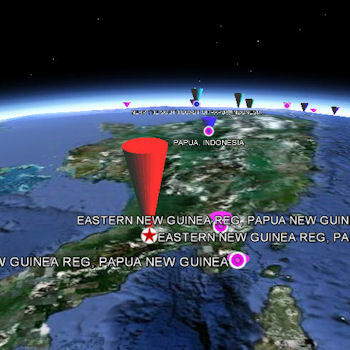 Once you load the KMZ file into Google Earth, more information about each quake is available by clicking on the symbols. We used RockWorks15 and Google Earth (TM) to create a map of all of the 5+ magnitude earthquakes across the world in December 2011. You can visit our RockWorks data page to download the Google Earth KMZ file and the RockWorks data file.